After a nine-month run of home values increases, the inevitable slip happened in November. 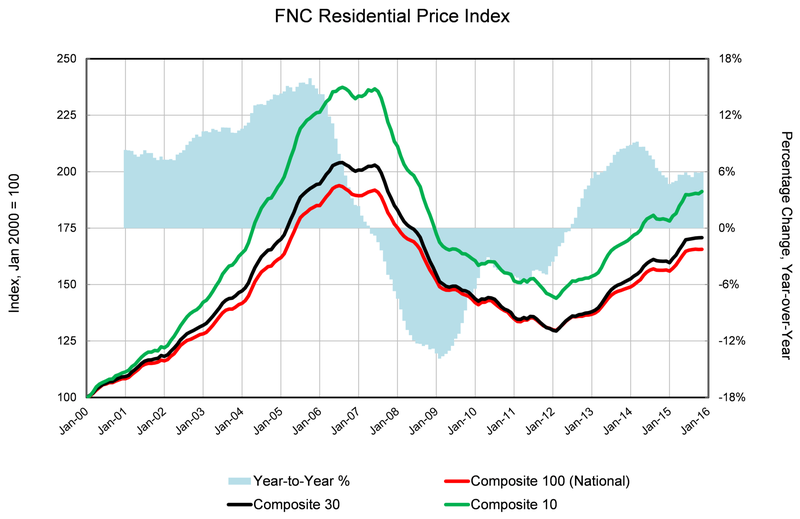 Released January 19, the FNC Residential Price Index reported that home prices in November remained largely unchanged, a dip of 0.1 percent, from October but are still increasing on an annual basis. National home prices increased 6 percent annually in November. “Despite recent months’ more upbeat data on new home sales and residential construction, prices have been relatively stable since August, with month-to-month momentum showing no significant gains, neither decelerating nor accelerating rapidly,” said Yanling Mayer, FNC‘s housing economist and Director of Research. However, some metros did see month-over-month gains. 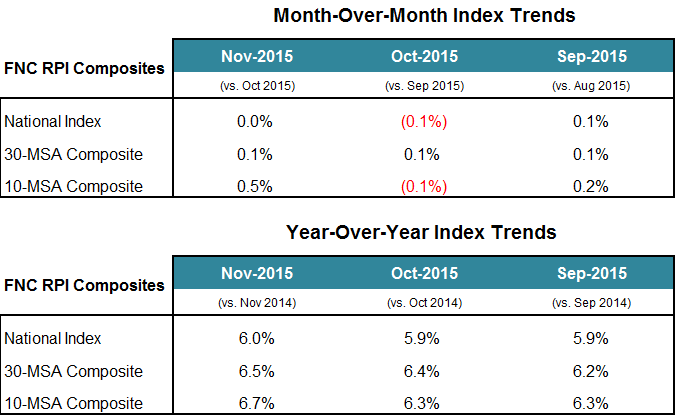 Washington, D.C saw a 0.3 percent increase in November 2015 over the previous month. DC home values increased slightly by 5.5 percent in November over the same month in the previous year, making it into the no. 22 spot for best performing metros. As a year-to-date, DC home values upticked about 6 percent.